How Stainless Steel Casting Compared to Iron Casting? 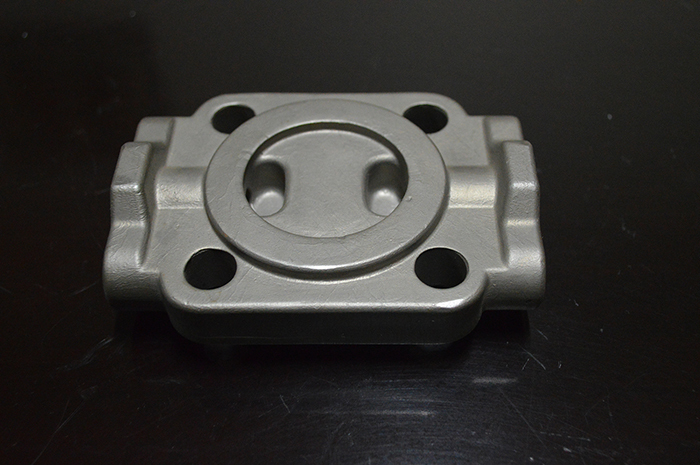 Stainless steel and cast iron are two of the most common materials used in investment casting process. While there are many different types of materials can be cast, stainless steel casting and iron casting are very common due to their mechanical properties, which allow for widespread use, reliability, and durability. While it is easy to think that steel and cast iron may be very similar, there are actually several advantages or disadvantages for either material. Before deciding which material you want to use, it helps to talk to a stainless steel foundry to understand which might be right for you and your project. The biggest difference between cast iron and stainless steel (refer to cast steel vs. cast iron) is the carbon content in the materials. Iron castings usually contain more than two percent carbon, while stainless steel casting checks in between 0.1-0.5 percent carbon. What does this mean in terms of the difference when casting? The higher the carbon content, the more malleable the iron will be. This makes cast iron easier to cast than stainless steel, as it pours more easily when melted and doesn’t shrink as much as stainless steel. This means that less molten material is required for filling complex voids within molds, which makes cast iron ideally suited for more intricate structures. This is why cast iron is often used for projects such as fencing, or street furniture, which may have a more ornate design. Along similar lines, cast iron is generally easier to machine than stainless steel, meaning it is easier to cut or grind than stainless steel. Cast iron breaks away more easily and in a more uniform way than cast steel, which reduces tool wear and can make the casting costs lower. On the other hand, stainless steel has a big advantage in that it is anticorrosive and more resistant to impact than cast iron. Stainles steel excels at taking heavy impacts without deforming, breaking, or even bending, due to an impressive ability to withstand high stress forces. This makes stainless steel very effective for mechanical as well as structural applications. It’s load-bearing capabilities make it the most used metal in the world. In most cases, iron casting is cheaper than stainless steel casting because the material costs, energy, required labor are all lower in cost than cast steel. Raw steel costs more to purchase, and then takes more time and energy during the casting process. However, this may just be a short-term look at the costs. For any project, it is important to factor in the long lasting nature of cast stainless steel, as well as the cost of replacement parts if any are required. In many cases, even with higher upfront costs, stainless steels casting can be more cost-effective in the long-run. At CFS, we specialize in stainless steel investment casting in many different types of stainless steel alloys (304(L), 316(L), 317, PH17-4, 2205, ect), helping find the best option for you and your needs. Contact us to learn more about the competitive advantages we can provide your business, and how we can help with quality, long-lasting stainless steel castings at lowest prices.